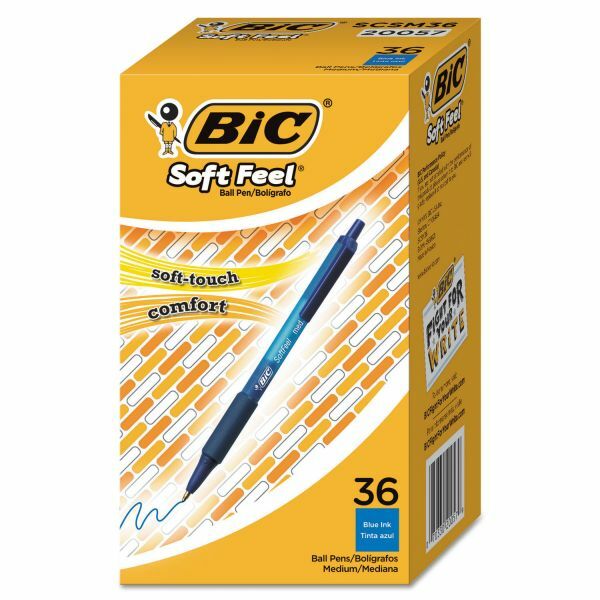 Unique soft feel barrel and grip for the ultimate in writing comfort. 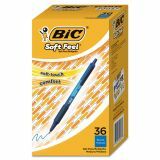 BIC Soft Feel Retractable Ballpoint Pen, Medium 1mm, Blue Ink & Barrel, 36/Pack - Retractable ballpoint features a unique, Soft Feel® barrel for ultimate writing comfort and a special no-slip grip for comfortable all-day use. 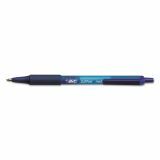 Convenient click action provides precision performance.